What I didn’t expect to discover is that the makers of Equal® have apparently started adding vitamins and minerals to some of their products. The packets my patient handed to me claimed it contained antioxidants (vitamins C and E.) Apparently there are two more versions. One that has vitamin C and zinc sulfate added to it, another with vitamins B3, B5 and B12. There Are NO Safe Artificial Sweeteners! Nor is there any artificial sweetener that will help you lose weight. And not a single one of them can prevent or control diabetes and metabolic syndrome. One of the most troubling and harmful effects of artificial sweeteners is the negative impact they have on your gut microbiota. 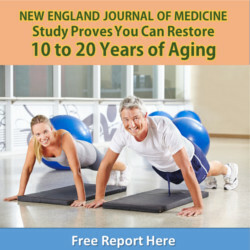 In particular, they appear to increase the proportion of gut microbes that disrupt metabolism and energy stores. In a nutshell, the sweeteners promote gut bacteria that are pre-programmed to turn energy into fat. This, of course, increases your fat stores. At the same time, the metabolic alterations they create can lead to abnormally high blood sugar levels. In other words, these fake sugars are a disaster when it comes to controlling weight and blood glucose. They actually promote diabetes and obesity! 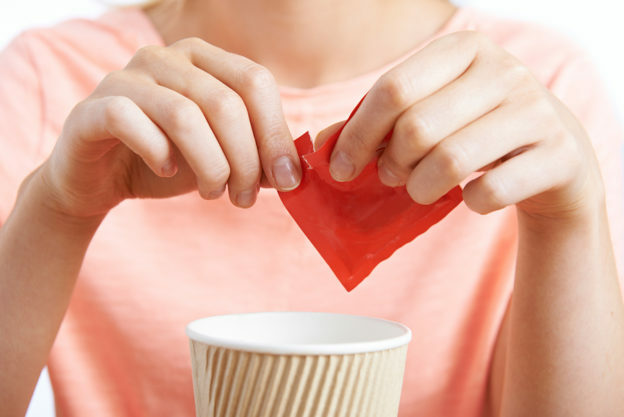 But these aren’t the only health risks associated with zero-calorie sweeteners. The great majority of them are a considered “neuroexcitotoxins”. They over stimulate neuron receptors. This, in turn, destroys brain cells. And when your brain is over-excited it can lead to big problems, like headaches, insomnia, seizures and other neurological side effects. This includes serious health issues such as multiple sclerosis, Alzheimer’s disease and Parkinson’s disease. To top it off, these sweeteners are associated with higher incidence of high blood pressure, cardiovascular events, stroke and dementia. And believe me, adding a small dose of vitamins and minerals to these menacing sweeteners is not going to change these negative outcomes. A lot of patients know my thoughts on artificial sweeteners. They also know that the only sugar substitute I recommend is stevia leaf extract. But even the most diligent of them have had the wool pulled over their eyes by cunning stevia imposters over the years. For example, about a decade ago the makers of Truvia latched onto a highly successful marketing strategy. They touted this new product as a “naturally sweet and calorie-free sweetener from the stevia leaf”. But I’ll be very clear here. Truvia is not even close to being the same thing as natural stevia. In fact, the product doesn’t contain even a single ounce of steviosides. These are the sweet tasting compounds in stevia that have a positive effect on insulin sensitivity, blood sugar, blood pressure and weight. And they are one of the top reasons I advocate using it. Instead, Truvia has only a tiny and insignificant amount of rebaudioside in it. And while this compound actually does come from the stevia plant, it doesn’t have the same health benefits as steviosides. It also turns out the main sweetener in Truvia is erythritol. But there’s nothing natural about it. It’s a sugar alcohol made from genetically altered corn. So I wouldn’t count on a commercial brand of fake “natural stevia” to sweeten up your foods and beverages. Instead, look for a high quality stevia brand. Organic is always best. And make sure to check the label to make sure it does not contain any erythritol. Fagherazzi G, et al. Chronic Consumption of Artificial Sweetener in Packets or Tablets and Type 2 Diabetes Risk: Evidence from the E3N-European Prospective Investigation into Cancer and Nutrition Study. Ann Nutr Metab. 2017;70(1):51-58. Azad MB, et a. Nonnutritive sweeteners and cardiometabolic health: a systematic review and meta-analysis of randomized controlled trials and prospective cohort studies. CMAJ. 2017 Jul 17; 189(28): E929–E939. Humphries P, et al. Direct and indirect cellular effects of aspartame on the brain. Eur J Clin Nutr. 2008 Apr;62(4):451-62. Pase MP, et al. Sugar- and Artificially Sweetened Beverages and the Risks of Incident Stroke and Dementia – A Prospective Cohort Study. Stroke. 2017 May;48(5):1139-1146. Anton SD, et al. Effects of stevia, aspartame, and sucrose on food intake, satiety, and postprandial glucose and insulin levels. Appetite. 2010 Aug;55(1):37-43. Chan P, et al. A double-blind placebo-controlled study of the effectiveness and tolerability of oral stevioside in human hypertension. Br J Clin Pharmacol. 2000 Sep;50(3):215-20.